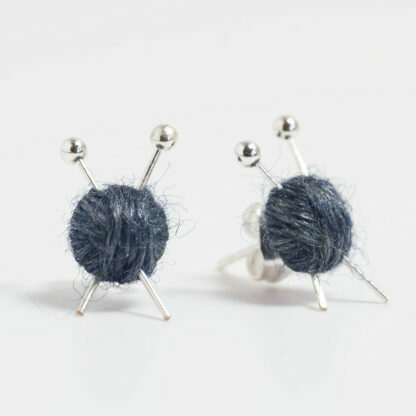 Earrings made from tiny balls of wool with miniature knitting needles. 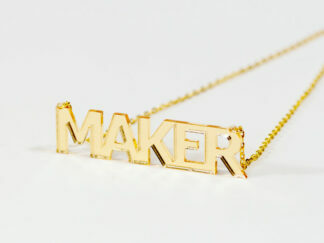 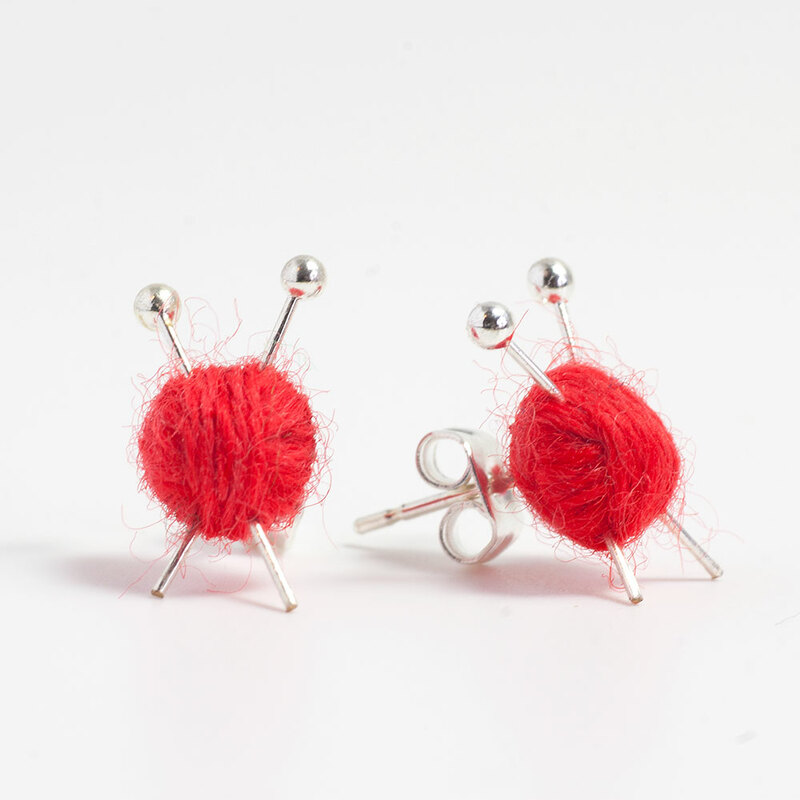 A perfect gift for the fashionable knitter or anyone who loves the knit! 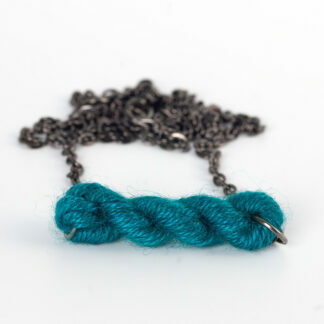 The yarn is hand dyed 100% laceweight merino wool. They have a pair of tiny silver plated knitting needles in them. 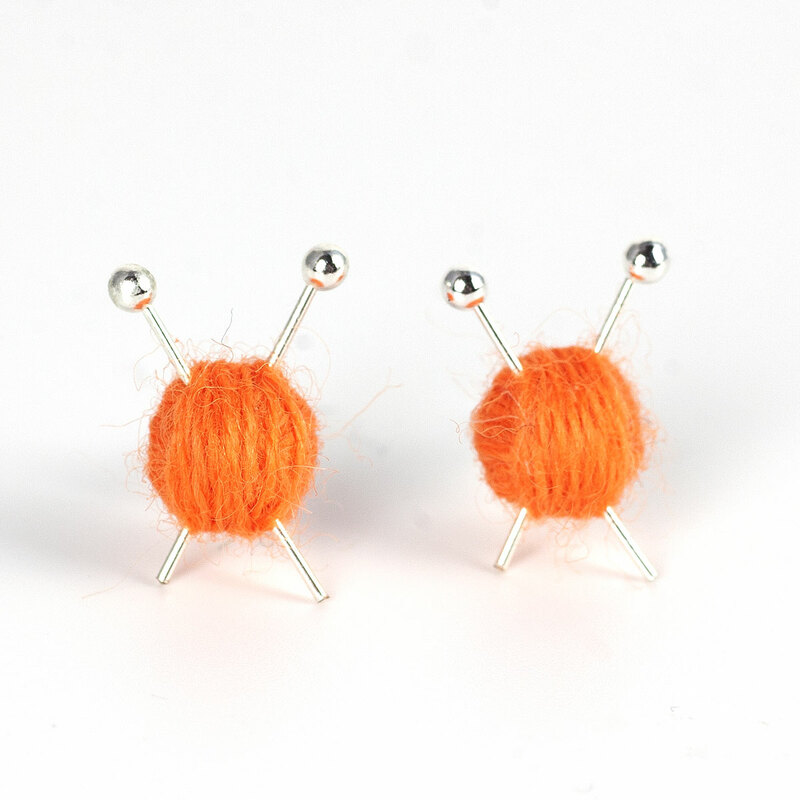 Choose Surgical Steel posts for sensitive ears. 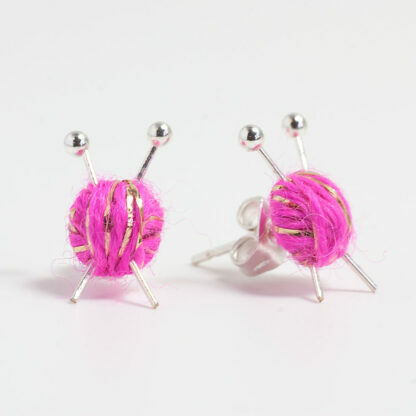 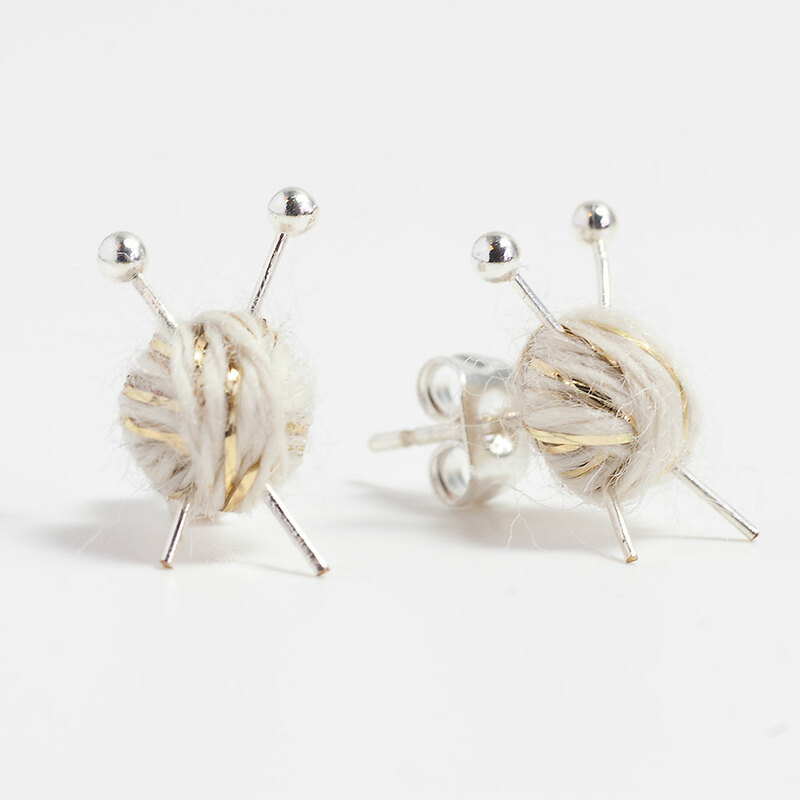 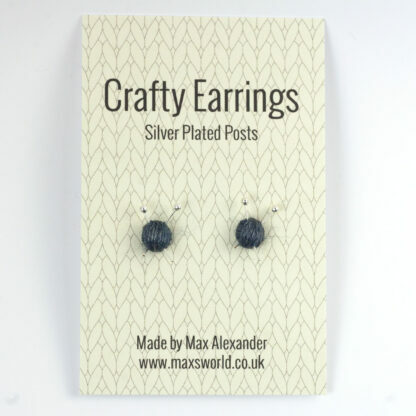 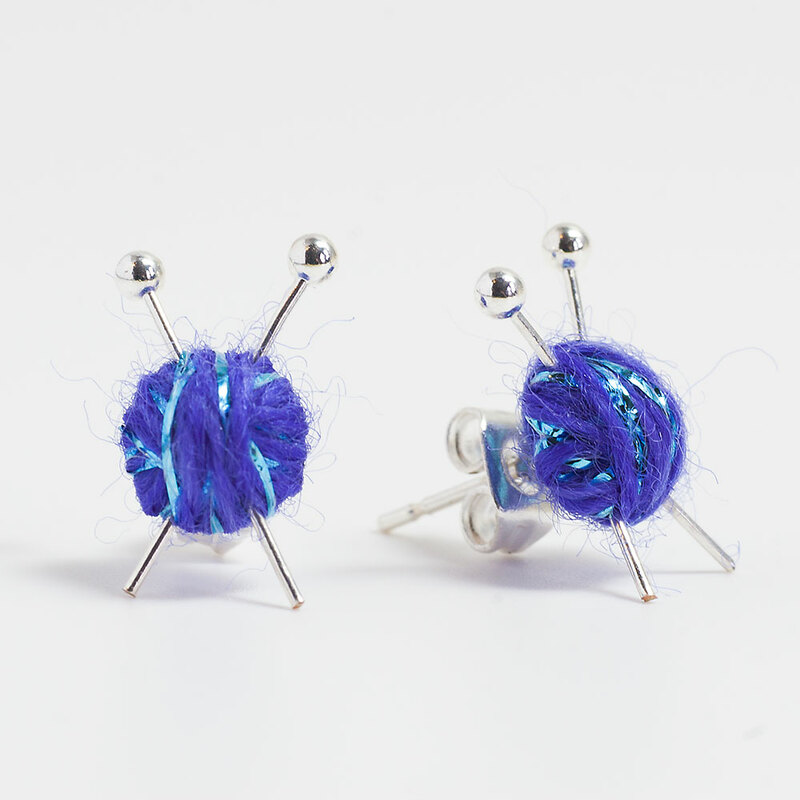 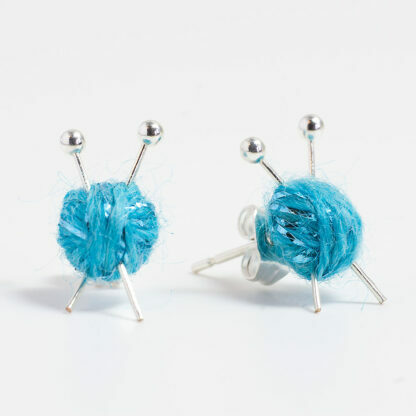 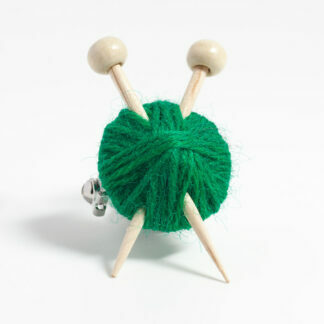 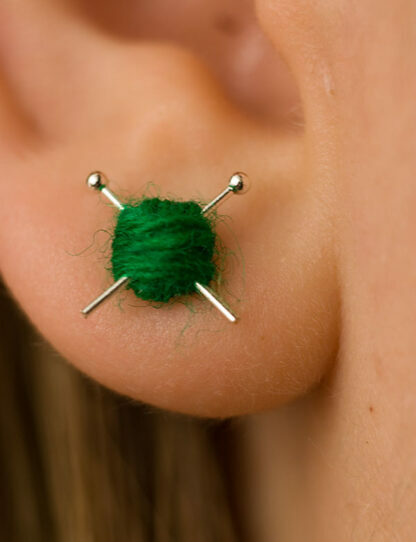 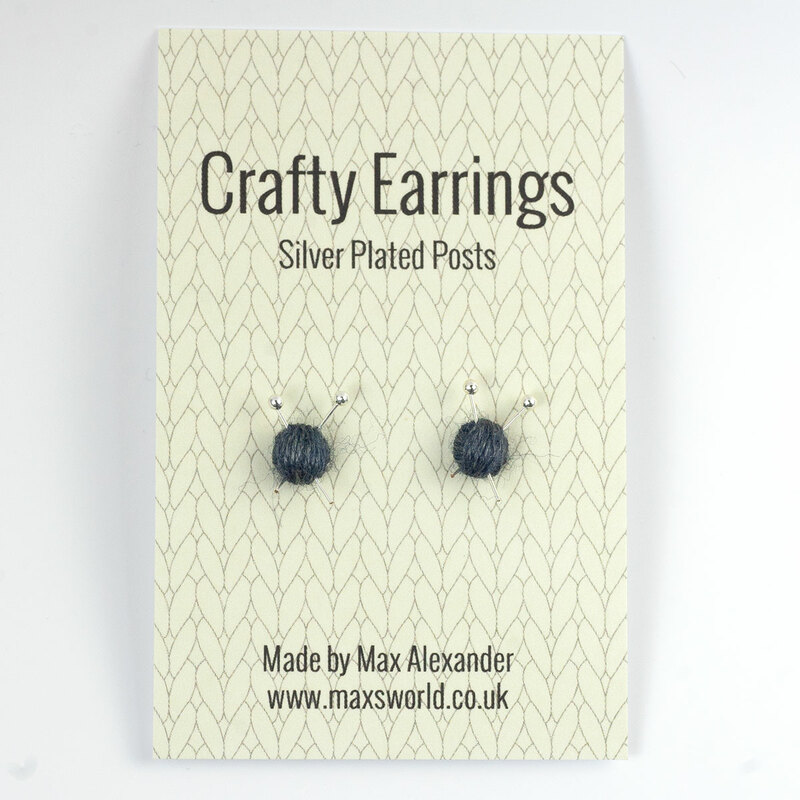 These handmade stud earrings are made from tiny balls of wool with miniature knitting needles. 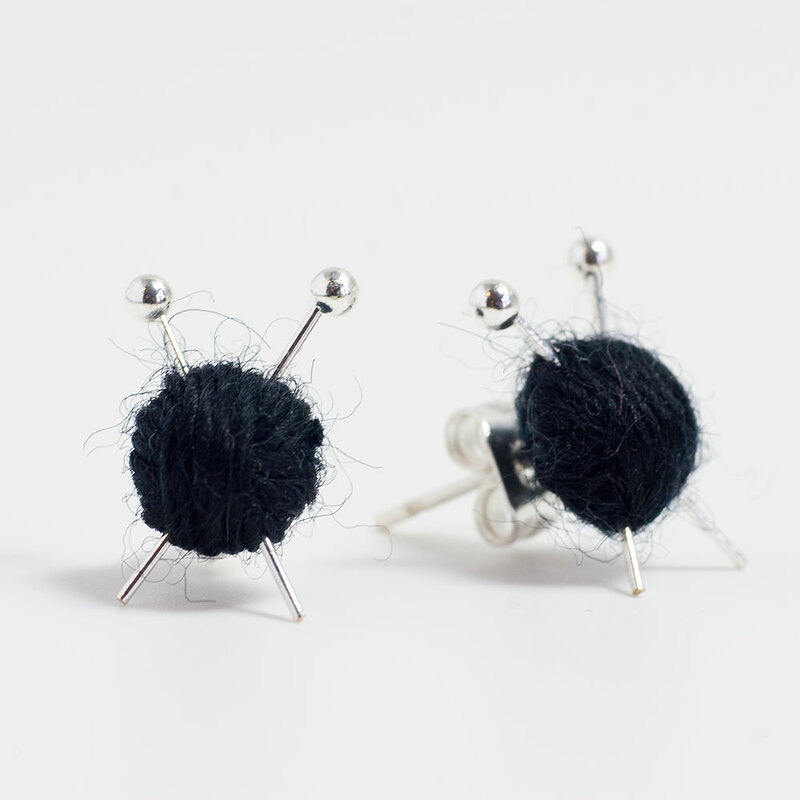 A perfect gift for the fashionable knitter or anyone who loves the knit!